Then, he was the singer-songwriter once tagged ‘the British Jack Johnson’ and tossed in alongside sensitive, strumming troubadours in the tradition of Jackson Browne and James Taylor. He was the guy with the dreadlocks he had been cultivating since the age of 15, the one who flayed the hell out of an acoustic guitar whenever he played live. 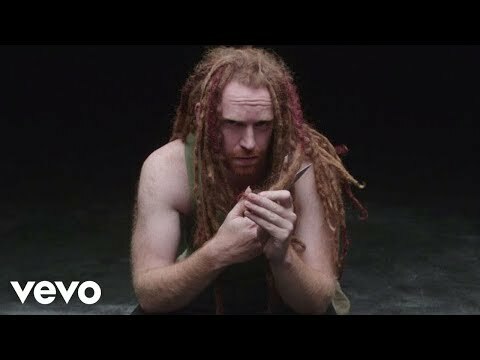 These days, Newton Faulkner is a different proposition, and his audacious new album, Human Love, is a colorful statement of intent. His fifth studio collection, and his first for new label BMG, it is an alluring maelstrom of rhythm and harmony. Embracing racing drums, African percussion, chanted choruses, ambient interludes and the most imposing hooks of his career to date, it combines a more forthright writing style with a greater emphasis on beats and texture. The new single sets an invigorating tone. An online hit three years ago for Major Lazer – the side-project of dance DJ and producer Diplo – it builds towards an epic, layered crescendo. Its dynamic grasp of light and shade is typical of Human Love, from the gleeful escapism of Up Up And Away to the soulful blues of Can I Be Enough and the heartfelt rawness of Break, a piece Newton describes as ‘the breather in the middle of the record’. The album benefits from an intriguing gallery of co-conspirators. Mixed by Cenzo Townshend (The Maccabees and George Ezra), it features songs co-written with Newton’s older brother Toby plus contributions from Australian psych duo Empire Of The Sun, who add shifting grooves to Shadow Boxing, and London songwriter Ed Drewett (One Direction and Professor Green), whose impact can be heard on the rousing Far To Fall. Cam Blackwood (a producer who has worked with Florence + The Machine), brings a shimmering sheen to Step In The Right Direction, while Tessa Rose Jackson features on the pounding, piano-led Stay And Take. ‘I can do the solitary, singer-songwriter thing, but it’s much more fun to write with other people,’ continues Newton. ‘I’ve never had a problem with co-writing. I actually find it more fun to have someone else in the room. You connect. You bounce ideas off one another. ‘My last album, Studio Zoo, was quite subtle, so I wanted this one to be very direct, with the drums really prominent. I was listening to a lot of world music, Chinese and African folk, and that had an impact on the melodies. At one point, I almost made a real rock record. That didn’t happen in the end, but the ideas and attitudes shone through. ‘One of the reasons it sounds so varied is that I worked with so many different people. The mood is different to Studio Zoo. That was made after I’d come through a bad break-up and I was at my lowest ebb. Human Love is more positive – it’s about what happens after you’ve come through the hurt and pain. He was as surprised as anyone when his first album, Hand Built By Robots, topped the charts in 2007, deposing Amy Winehouse, selling a million and spending a year in the Top 40. The follow-up, Rebuilt By Humans, was a tribute to the surgeons who saved his career after his right wrist was shattered in a freak mishap in the French Alps. Moving on from what he dubs ‘an interesting, if weird, experiment’, he completed Human Love with a renewed sense of purpose, and is now looking forward to touring again. ... Crammed with sunny choruses, Human Love is his most complete album yet.